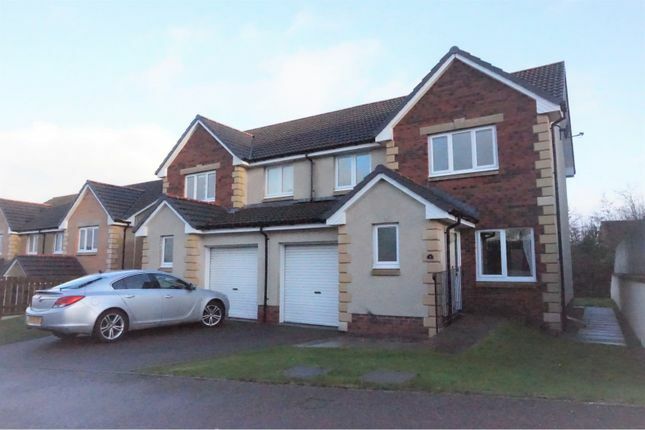 Fantastic opportunity to purchase this immaculate three bedroom semi detached property in the increasingly popular Slackbuie residential area of Inverness. This stylish property will appeal to professionals and families alike. Presenting the ideal family living space across two floors. Boasting a spacious lounge/diner, kitchen and downstairs wc. The master bedroom offers an ensuite and integral wardrobes are present in two of the bedrooms. A driveway provides off street parking and leads to the attached garage providing the ideal outdoor storage solution. There is a low maintenance small Lawn area to the front and a fully enclosed garden to the rear. Viewing is essential to appreciate the extent of this property in full. Entrance porch 6'3" x 3' 8"
Landing 10' 1" x 11'1"
Master bedroom 11'7" x 10'3"
Bedroom two 10'3" x 10'4"
Bedroom three 8'10" x 9'2"
This property is located in the popular residential area of Slackbuie approximately 2.5 miles from Inverness city centre. Slackbuie is an area of high demand with professionals and families due to its convenient position. Its close proximity to the Southern Distributor Road allows easy access to Raigmore Hospital, LifeScan, uhi Campus, Police Headquarters, Inshes Retail Park and Beechwood Business Park. Local amenities can be found at the nearby Fairways Retail & Business Park with a more extensive range located a short drive away at Inshes Retail Park. There are a number of primary schools nearby, with secondary school pupils attending Inverness Royal Academy. The city centre is a short drive away and there is also a regular bus service routed nearby. Inverness offers an extensive choice of shopping, leisure and recreational activities associated with city living and there is easy access to a wide variety of outdoors sports and activities.